Join Seniors, Jones, and Hampton for a discussion of their work on the collection and the lasting legacy of Michelle Obama’s time as First Lady, especially for women and girls. I will be giving the talk "Mae Mallory, The Monroe Defense Committee and World Revolutions," Challenging Erasures: Re-inscribing Black Women's History in New York. Sponsored by Dr. Robyn C. Spencer, The Endowed Chair of the Women's and Gender Studies Program at Brooklyn College. My Talk: “Bleeding Moon,” Cole and Johnson’s The Red Moon (1908-1910) and James Weldon Johnson’s God’s Trombones” Lecture Demonstration. 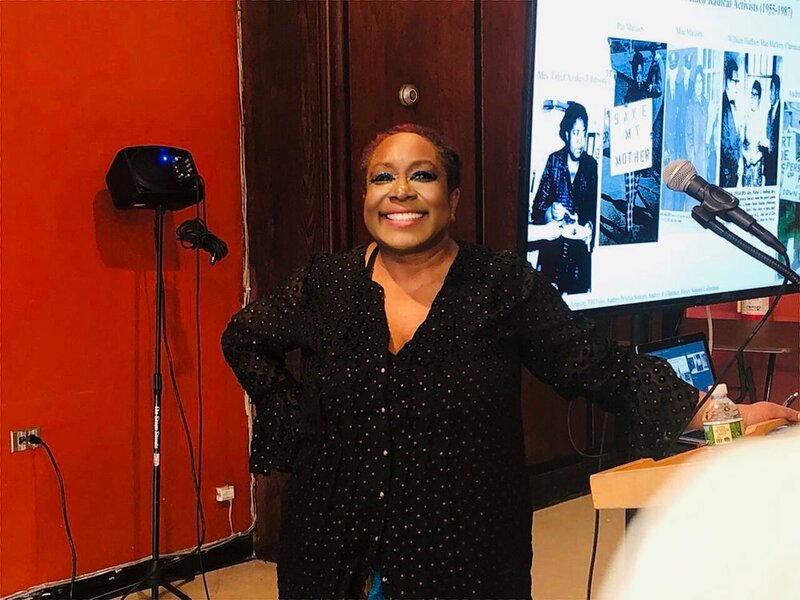 My talk: "Red Moon, Bleeding Moon"Cole and Johnson’s The Red Moon"
"Celebrating God’s Trombones:African American Cadences and Culture Symposium"
Fellows Talk: "Mae Mallory, The Monroe Defense Committee and World Revolutions"
"Beyond Lift Every Voice and Sing"